This weekend, I made my way across the border to Toronto with my mom for a short little weekend away. My mom has an office in Toronto so she travels there quite a bit. I went up with her 2 years ago and we went to a Blue Jays game and visited the CN Tower. 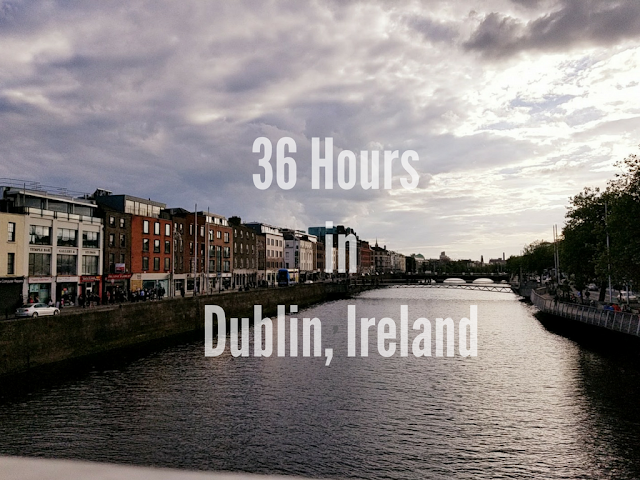 This time around, we aimed to do less tourist-y things and more seeing the city. We landed on Saturday afternoon and after an enormous debacle of trying to rent a car and actually leave the airport, we checked into our hotel in the Financial District. We had stayed in the same hotel the last time we went and it was nice and in a great location, but I think next time around, I want to stay somewhere else and explore some different parts of the city. Our hotel was right near City Hall and when we parked the car, we had to walk across this little plaza to get to our hotel. The hotel also had a waterfall where I spotted this little guy hangin' out. 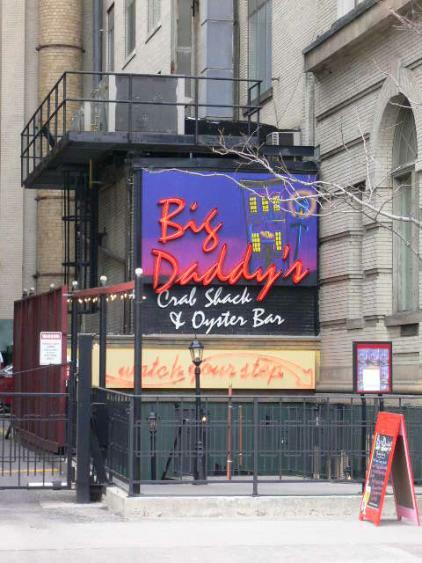 Mom and I were craving seafood so we made our way to King Street to check out the restaurant scene there before deciding on Big Daddy's where we had the most incredible oysters and seafood. I was pretty exhausted by the time we finished dinner since I had raced that morning, so we headed back to the hotel to call it a night. Saturday morning, we made our way out of the city to my mom's company picnic but not before stopping at a fantastic bakery in The Bay to pick up some treats to bring to the picnic. Seriously? O&B Artisan? My new favorite place. I've already eaten half of them. Oops. Post-picnic, it was time to head back to the city and take a walk along the Harbourfront. The weather was gorgeous and lots of people were out and about! This is apparently what they call a "beach." Hmm. Check out my gorgeous Mama. After our walk along the water, we made our way for a late dinner before calling it a night. When we got back to our hotel, the sun was just setting and I snapped a picture of this beautiful sunset from our hotel window. Monday, while Mom was at work, I spent some quality time by the pool before getting a much-needed sports massage and heading to the airport to make our flight home. It was a great little weekend trip away, but after spending most of last week in DC and the weekend in Toronto, it's good to be back home for a few days before I take off on my next adventure! Have you ever tagged along on a business trip with one of your parents? Where did you go? Ever been to Toronto? What do you like to do there? I'm glad you had a fun trip! 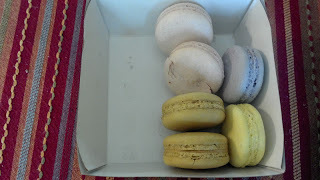 And macaroons? They are the best! Sounds like a wonderful trip and I'm seriously jealous of those macarons! I've had the weirdest craving for them lately! Sounds like a great trip! 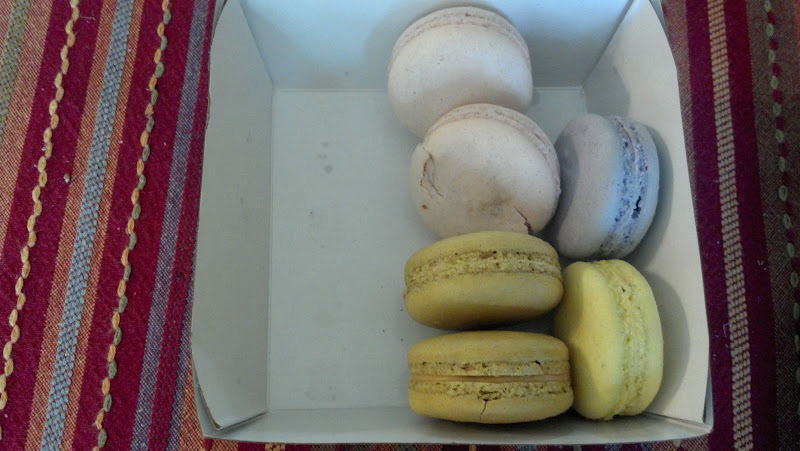 The macaroons look incredible! I tagged along with my mom on a business trip to San Diego last summer. We made pit stops in Vegas and Phoenix. It was such a fun week!